Green eyes are really enhanced with purple, plum, wine, brown with red undertones, and rose gold. Any shadows with a slight purple tone will work as well, such as a grey/purple or taupe. I am a true test that purple shadows do make green eyes look more green and bright. Milani Bella Eyes in Bella Rouge: A brighter wine color, full review here. Lancome Color Design Quad in Showstopper Style: This palette has a great brown with red undertones. Perfect for work. Candied Violet and Cherry Cordial from Too Faced Chocolate Bar Palette: Candied Violet is a really unique deep purple with pink/rose glitter (not like Jr High glitter, but sophisticated glitter). Cherry Cordial is a deep wine with fine glitter. Milani Bella Eyes in Bella Violet: Iridescent purple shadow, this is great if you want purple but nothing too intense. This was used in the picture of my eye above. Full review here. Maybelline Color Tattoo in Painted Purple: This is a true bright purple that is absolutely beautiful. It can be used as a shadow or liner. This is so easy to apply and doesn’t crease throughout the day. Eyeko Skinny Liquid Liner in Purple: OMG this liner is amazing, a beautiful purple that lasts ALL DAY LONG, plus the color can go darker if you apply more pressure. Starlooks Pencil Liner in Amethyst: Really creamy silvery purple. Gorgeous. Do you wear makeup to compliment your eye or hair color? I have Hazel eyes and mine are a little more on the green than brown so I can wear a lot of different colors. As I get older I think they are getting more green. Anyway, thanks for the tips and ideas on some slightly different shades to use as I seem to get stuck using and being drawn toward the same colors all the time. I’m not an artistic person so your suggestions are super helpful! Hi, I love the green eyes make up examples. I have found purples, lavenders really make my eyes stand out. But for some reason this color causes an allergy after I wear it for a few hours … watery, red eyes. Can you suggest products with this color that may not cause such a reaction? Oh, to have green eyes! Yours are gorgeous and those purple shades really make them stand out. Can’t wait til you do the brown eyes post! I have green eyes so I especially appreciate this post! Hi. I just found your blog on SITS. I have green eyes too. Yay for us green eyed girls. I’m following you now. I remember a few years ago when Almay came out with their makeup collections specifically designed to bring out certain eye colors. 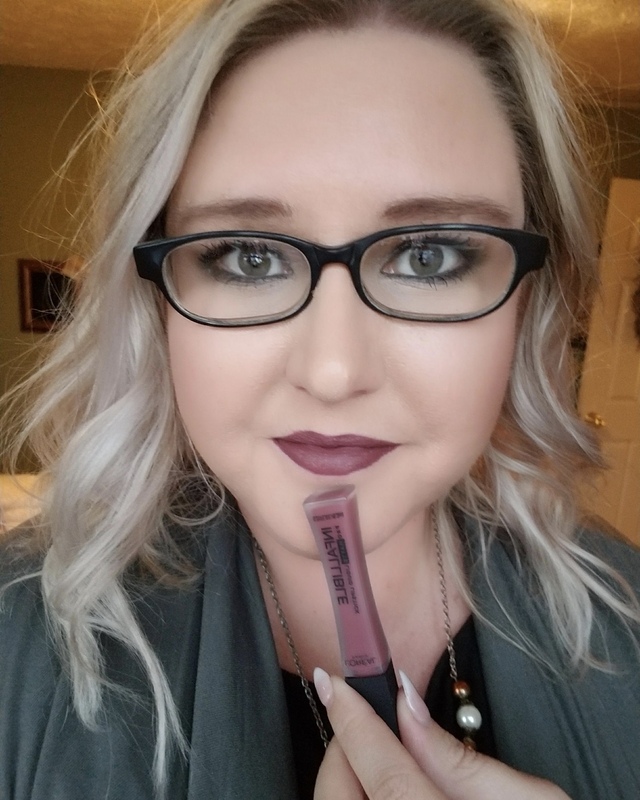 I used their products for several years, but then I got bored wearing the same color all the time! I love how you mentioned a whole range of colors to make your eyes pop. Great series! Ohhhh I’m so excited for this! I can’t wait for you to share what brown-eyed gals should wear! Sometimes I get a little adventurous and go for colored eyeliners but now I’ve gotten myself hooked on black! Your eyes are gorgeous by the way! And for the most part, I stick to black eyeliner too but I do try to play around with other ones as much as I can! Very pretty:) I so wish I could do pretty makeup! I have green eyes (although darker than yours, probably called hazel) and I wear a lot of purple and dark navy blue! Thanks for this information, always want my eyes to look bright and awake! Definitely try some of these! Thanks for stopping by! I have brown eyes. I’ve heard that means I can wear any color I want! It’s nice to not have to worry about whether or not a color compliments my eye color. Instead, I choose colors according to my outfit. I’ve always worn shadows in purple/violet/lavandar and Bella Khaki. I’ve never tried a red like Rouge, but since I have a cart filled with my Milani choices, I’ll add it and the brown. I think the Naked palettes are far too expensive just for 2 colors of eyeshdows, having to buy the whole kit. Do es the Nakeds sell shadows individually? My eyes are very green, and for years I’ve been asked what shadows I’m wearing that make my eye color Pop! For night I wear a bit more in the Purple color range and use a purple/black eye liner and Blackest Black Mascara, which is the new Maybelline Mascara, and it really makes your lashes curl. Lipsticks have always been in the Maybelline Nudes to Brownish ,or Plums with a hint of black. I experment a lot with shagws, blushes and lipsticks, as my favorite color of clothing is Black,Khakis, Navy, Toast, Denim and a big range in between for accessories. to a viole. There are Brown in Essie and I hit the polish jackpot with their Neutrals Deux2, all the colors are browns, mauves and Plums in their Fall polishes.Very au courant. Thanks for the tips, I follow ypur hints! !